14 pics. Cities could not grow beyond a few tens of thousands and civilisation could not flourish without a plentiful supply of clean water. Otherwise epidemics of water-borne diseases such as cholera and typhoid would devastate the population. 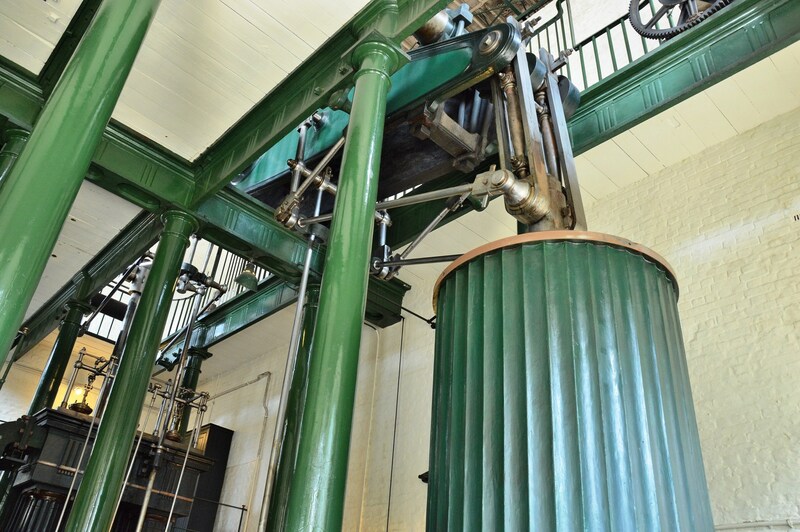 The development of filtration and pumping by steam engine was vital to progress. 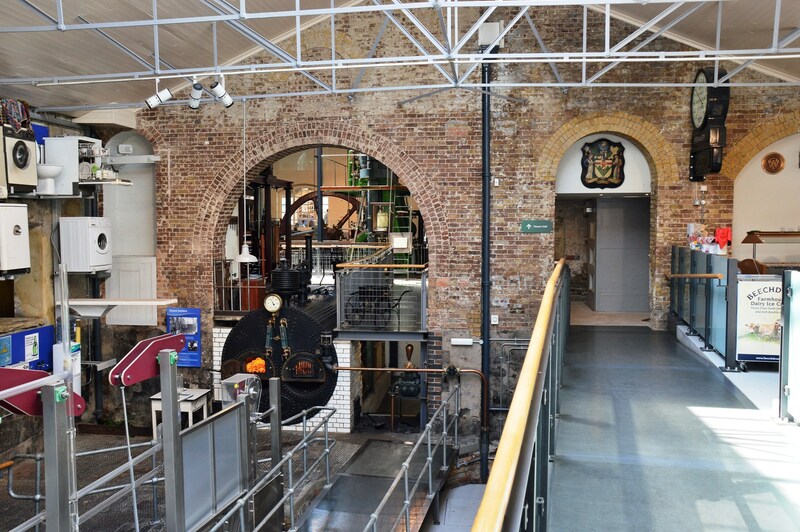 The London Water and Steam Museum ⇒ (there is an entrance fee) explains the advances in water cleanliness and houses a number of steam-driven pumps, including some truly massive devices. On designated days some of the engines can be seen working. 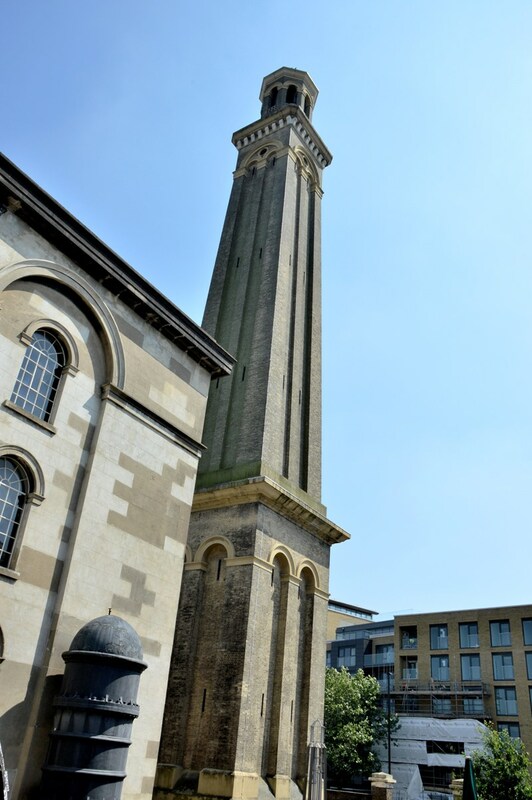 The other essential was the disposal of waste and an ornate example of this can be found in east London at the renovated Crossness Pumping Station ⇐. 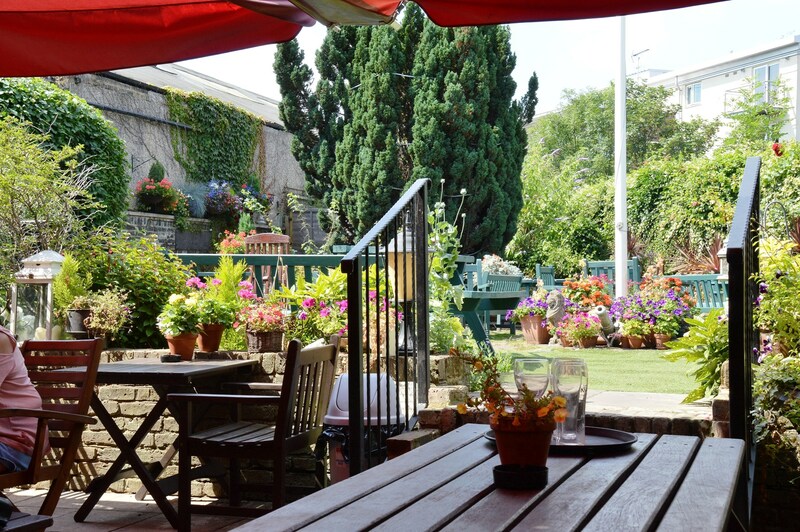 To get to the Water and Steam Museum: On Leaving Kew Bridge station, turn right, pass the very pleasant Express Tavern ⇒, and turn into Green Dragon Lane. The tall chimney is an easy landmark. 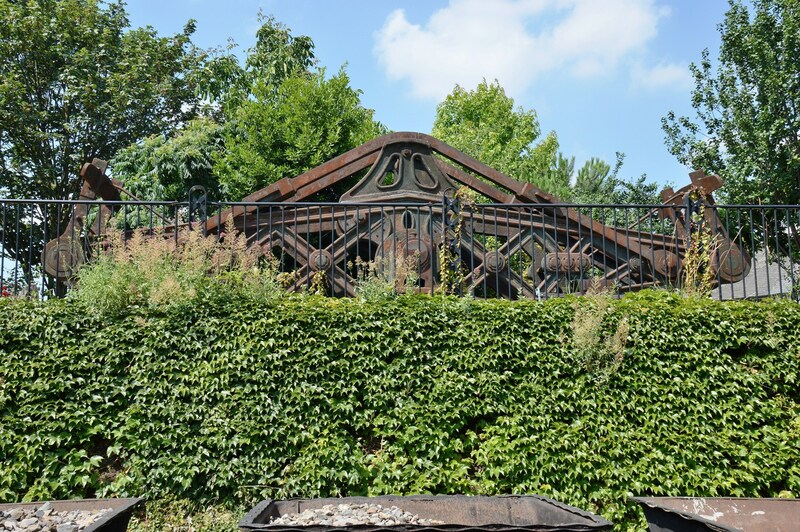 Alternatively Kew Gardens ⇐ which includes Kew Palace is just over the nearby bridge.. 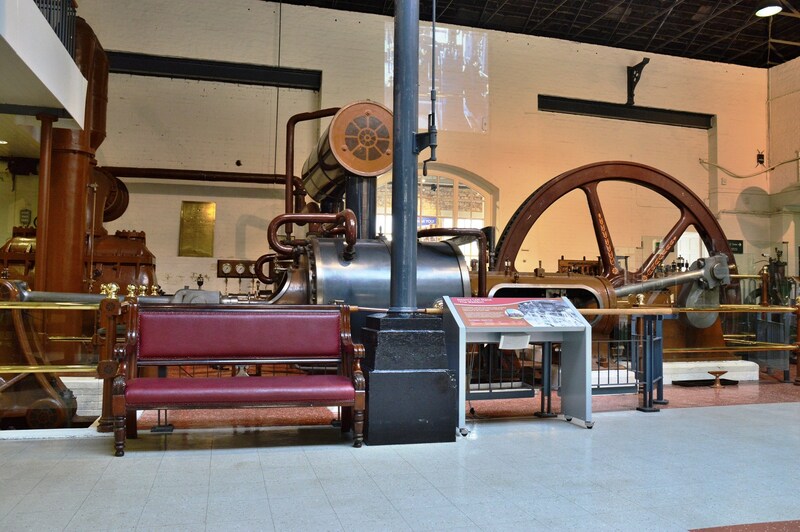 There is more about our use of steam and the role of fossil fuels at the Science Museum ⇐. 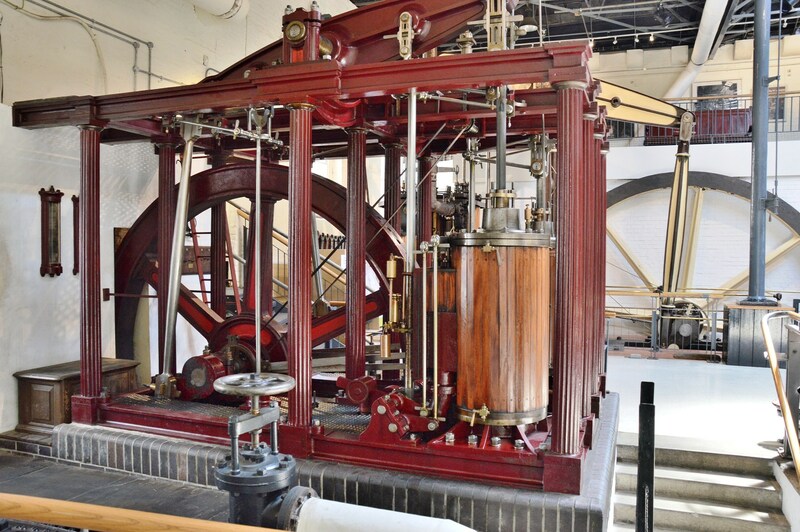 The above Boulton and Watt 64 inch (piston/cylinder diameter of 64 inches) has a beam weighing 15 tons and delivered 2.5 million gallons of water per day and was last used in 1944. 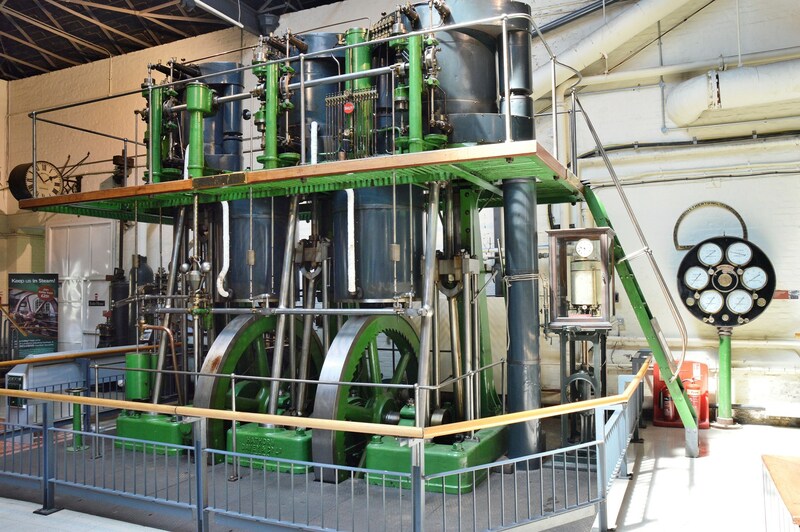 This is the 90 inch Cornish engine with a beam weighing 32 tons and delivered 6.4 million gallons of water per day. It was last used in 1943. The steam cylinder is the massive dark object at the far end. The nearer cylinder is the water pump. 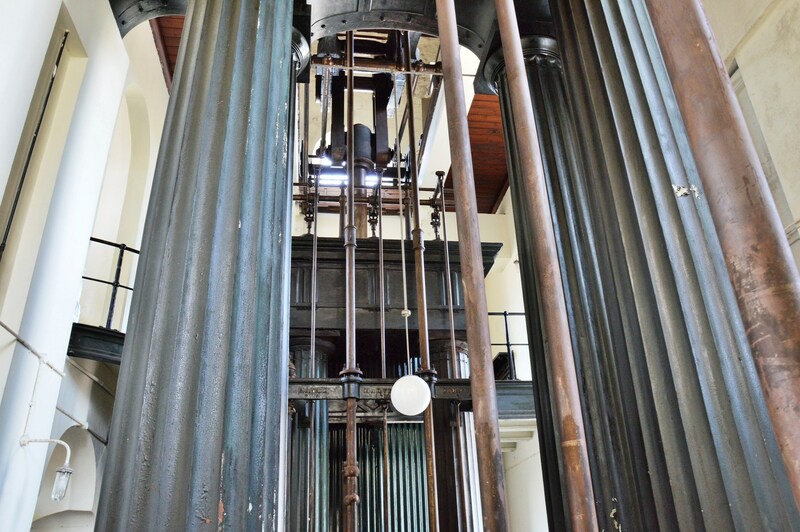 This monster is the 100 inch Cornish engine. 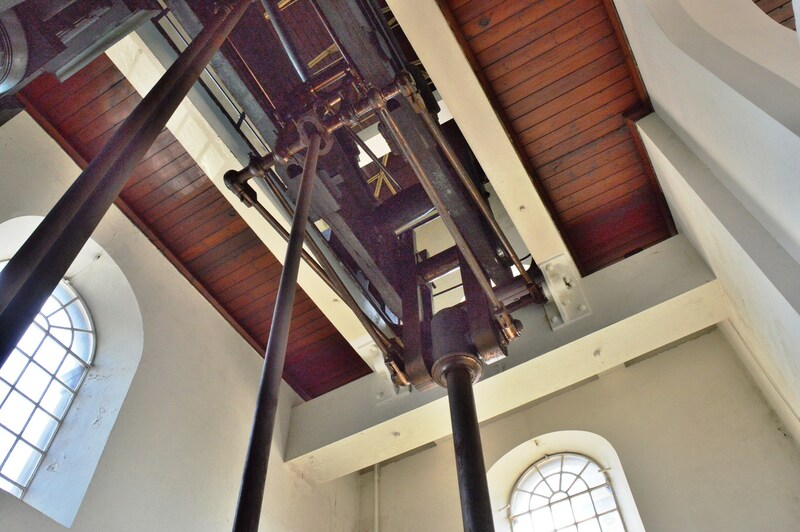 The 100 inch (8 foot and 4 inches wide) steam cylinder is the dark object the distance. The beam weighs a staggering 54 tons and it once delivered 7.5 million gallons of water per day. Built in 1869 it remained in service until 1958. 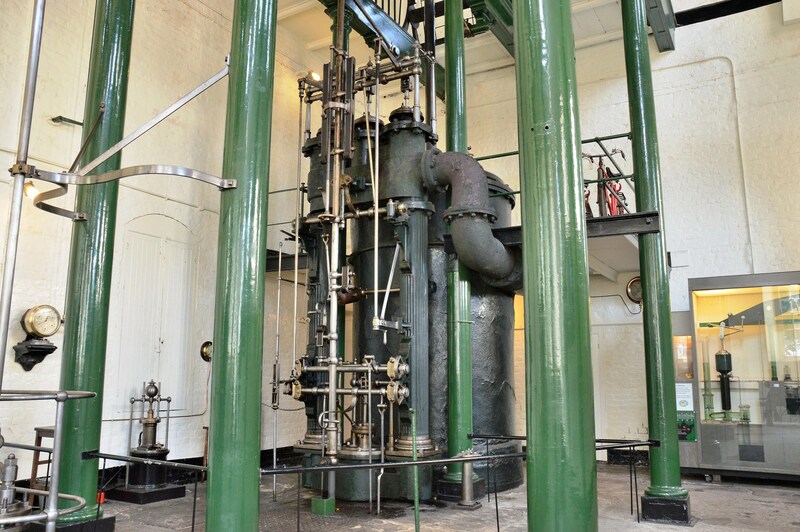 The above is the Waddon steam pumping engine. 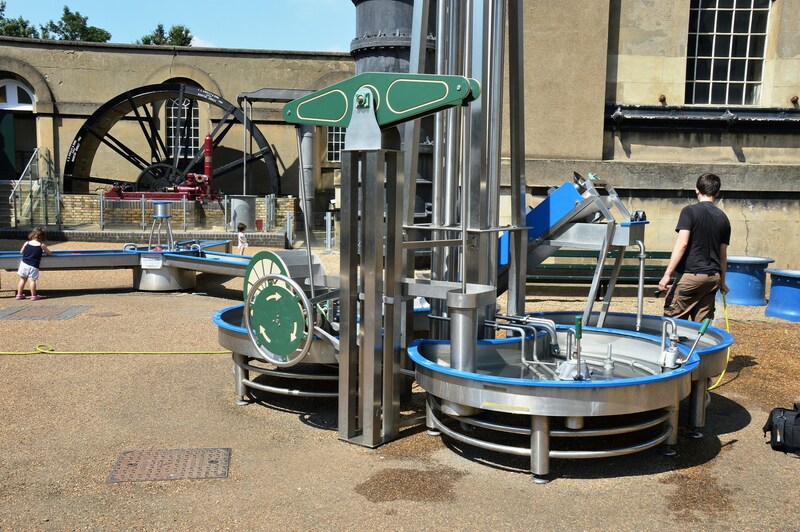 It was the last steam driven water pump used in the UK and remained in service until 1983. Above is a triple expansion engine. Designed to be more efficient as most of the steam pressure is used by passing the output of one cylinder to the next. On designated days (website ⇒) a small steam locomotive provides rides, although the track is very short. On the way back is the Express Tavern ⇒ which has a very pleasant menu and a broad range of beers. Across the nearby bridge is Kew Gardens ⇐. This entry was posted on August 4, 2016 by Graham in Hats. 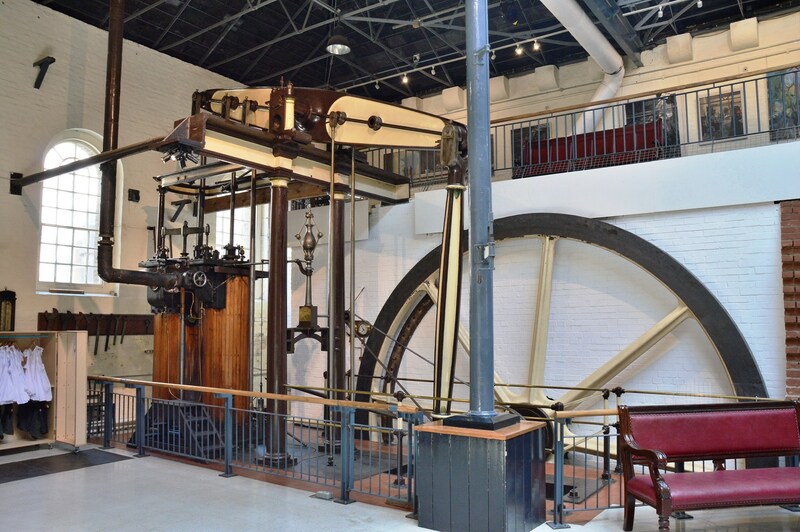 It was filed under History, london, museums, Photography, places to photograph in london, Science, Travel, uk, West London and was tagged with boulton and watt, cornish steam engiines, express tavern, Kew, steam engines. I love those old machines. They really have character. Thanks for the great photos.